"That sign that I made is actually not an offence"
To everybody’s surprise, Manchester United managed to obtain the three points against Juventus, after scoring twice in the 2-1 victory in Turin, to significantly boost their chances of going through the knockout stage of the competition, from Group H in the Champions League. A brilliant free-kick from Juan Mata and an own goal by Alex Sandro decided the game, making Jose Mourinho celebrate the result by cupping his hand to his ears as he was walking onto the pitch, with a big grin on his face. He was even confronted by Juventus’ Leonardo Bonucci, before being escorted down the tunnel. As expected, critics started talking, accusing the manager of offending Juventus supporters with his gesture. “That sign that I made is actually not an offence. 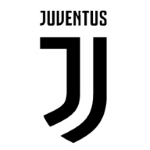 I just wanted to hear if they’d [the fans] make comments again or not,” Mourinho, a former manager of Juventus’ rivals Inter Milan said. 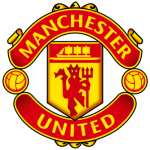 The win against Juventus is Manchester’s united best one this season, especially because the Red Devils played against a side that Mourinho considers the favorite to win the Champions League. He also agreed that luck also played its part in this win, especially because it was an own goal that offered United the three points.